Module: Specifies whether the connected unit is an Air Unit (Tx) or a Ground Unit (Rx). SN: The unique serial number of the unit. Product: The product ID of the unit. Firmware Version: The version of the firmware currently installed on the unit. 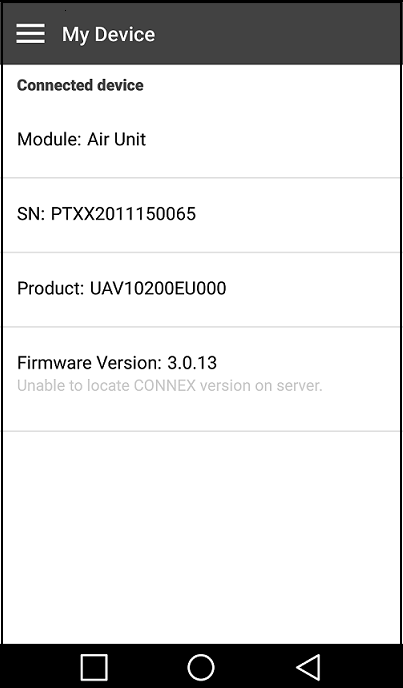 The application automatically checks with the AMIMON server whether the latest firmware version of the connected unit is installed. If the latest version is installed, a Firmware Version is Up to Date message is displayed. The main menu screens are shown below (Air Unit on left and Ground Unit on right). 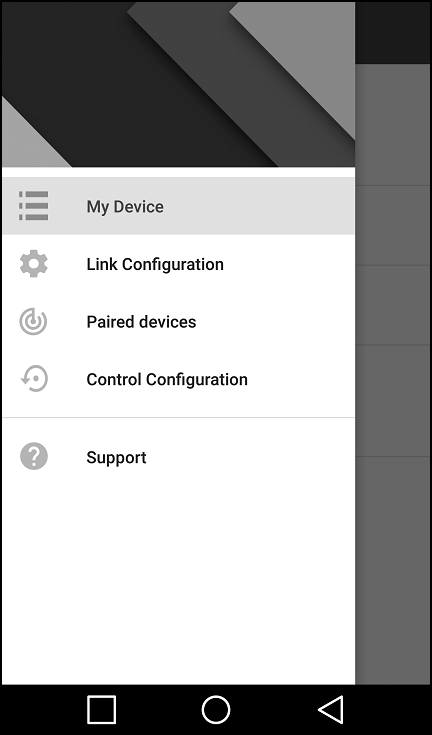 Note that when a Ground Unit is connected to your mobile device, only the My Device and Support options are available. Displays details about the Air or Ground Unit that is connected. Allows you to configure the link between an Air Unit and its Ground Units. Lists the Ground Units that are registered with the connected Air Unit , and enables you to unregister one or more of them. 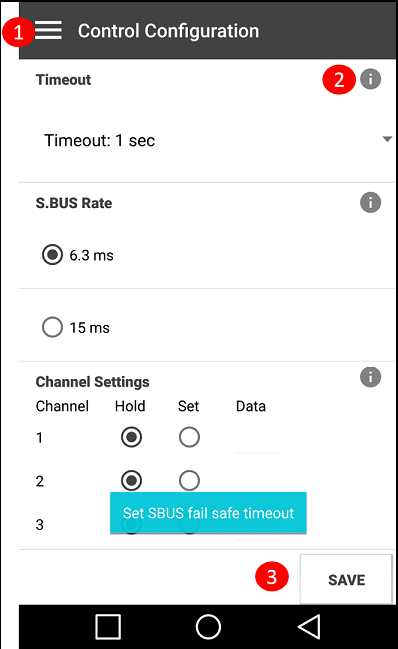 Allows you to view and modify Fail Safe parameters. Redirects you to the CONNEX online Help Center. This section explains general features that enable you to work with the mobile application quickly and effectively. The components are described in the table below the diagram. Use this button to navigate back to the main menu. Press these icons to open popups that provide short explanations about the relevant feature. An example is shown in the figure above. Press this button to save any changes that you have made on a page. If you navigate back to the main menu without pressing Save, your changes will not be saved.